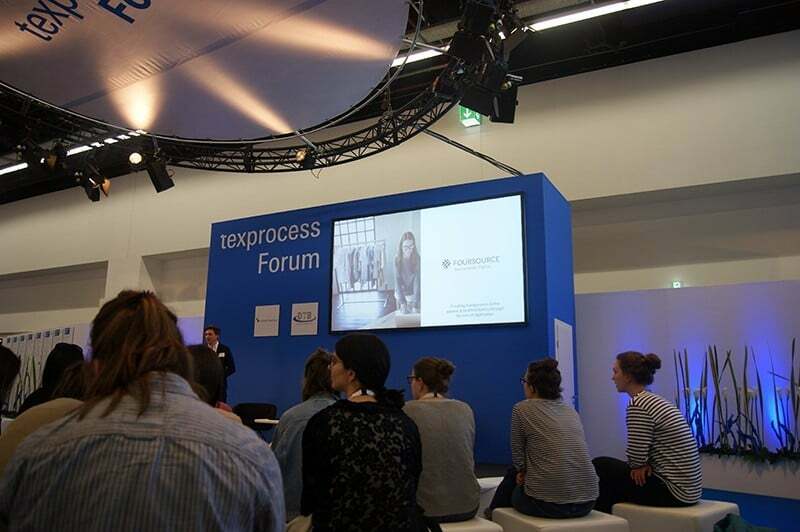 Texprocess and Techtextil encompass the complete textile value creation chain, from preparatory processes to finishing technologies. Operating bi-annually (with the North American equivalent, Texprocess Americas, “filling in the gaps” so to speak), the synchronized trade fairs have been dubbed by their organizers as the “undisputed centre of innovation in the field of high-tech fabrics, smart textile and processing technologies”. 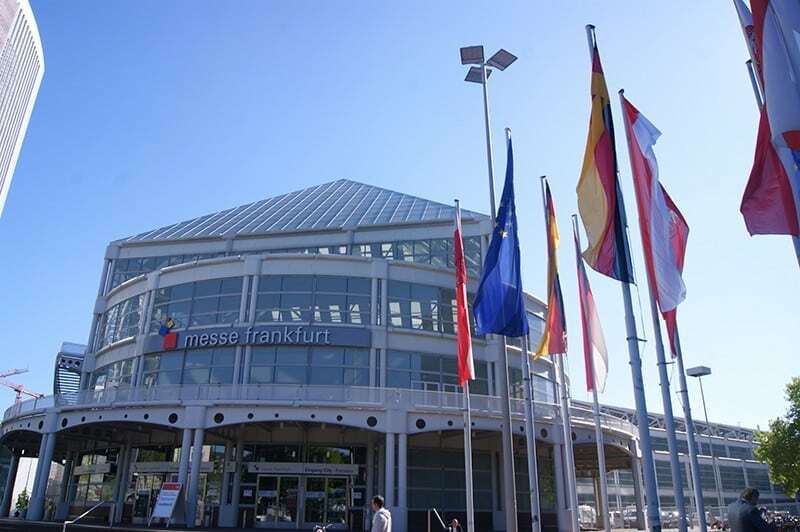 The event organisers, Messe Frankfurt, were set for a knockout year before the event(s) had even begun. 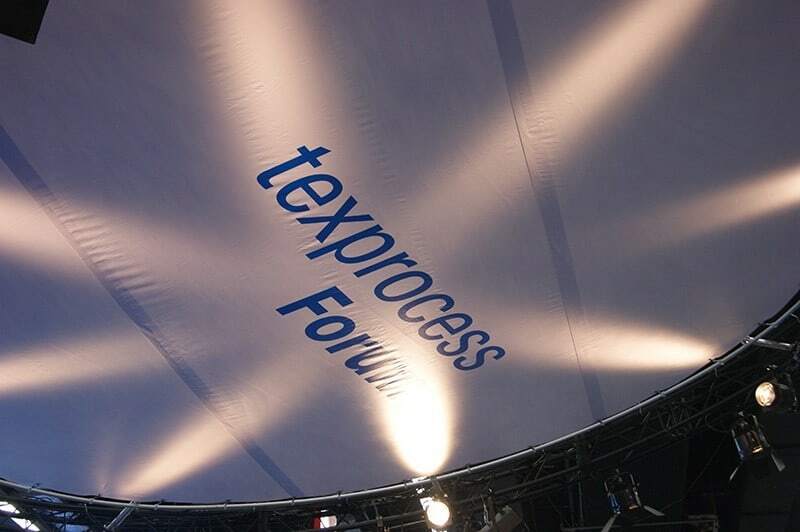 Some nine months prior to May’s event they announced Texprocess as having an outstanding number of registrants, with almost 100 percent of the exhibition space occupied two years previous having already been secured. Businesses from all over the world had registered: Inventech Europe out of Sweden, Gemini CAD Systems from Romania, Hatapress & Garments from Spain, and other textile and technological powerhouses from Asia and North America. For an international visitor or exhibitor, with a show like Texprocess there is an inherent worry that international businesses will be overshadowed by those native to Germany – as is the worry with any fair frequently held in the same location. But this is never the case. It was reported that this year the show held 1,789 exhibitors, and 47,500 trade visitors from 54 countries. The show is truly international, and truly modern – modernity having been another past stereotypical ‘fear’ for the German Fashion market. The German textile industry sells 25 billion products per year to other markets, making an annual turnover of €32 billion in clothing and textiles alone. The industry employs over 130,000 people in Germany, and is in favour of free trade, TTIP, and supporting governmental efforts. In a Techtextil press conference broadcast in January earlier this year, Elgar Straub, MD of VDMA Textile Care, Fabric and Leather Technologies, said of the German textile industry, “our industry undergoes permanent change, and was a pioneer in industrial development”. Their increase in sales revenue is due, particularly, to strong Western European partners investing in technology – partners like those at Texprocess & Techtextil. 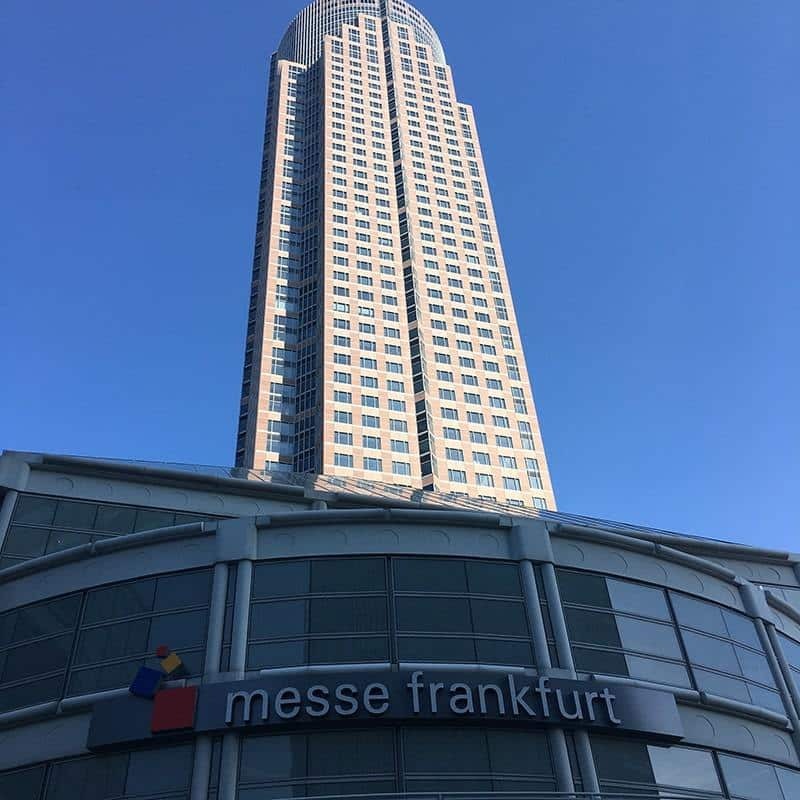 Having covered the show myself in 2015 – and with WhichPLM covering the shows each year – I returned to Frankfurt in May, camera in hand and pen at the ready, itching to see what was new. Having researched the exhibitor list and event news beforehand I was ready to be impressed, and to see how far technology and innovation had come in the intervening period. 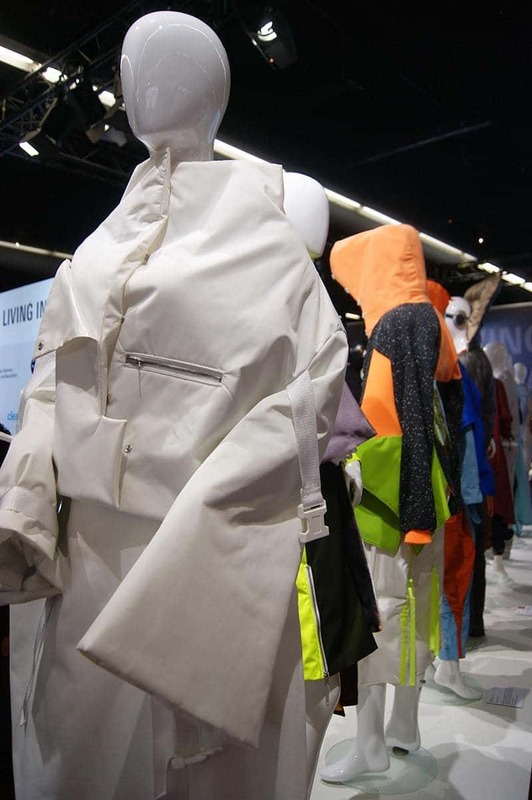 Although I was focused on Texprocess moreso than Techtextil – just as WhichPLM’s focus is on the technological side of our industry – I was nevertheless keen to see how significant a role textiles is playing in the world today. Attendance, as expected, was high; innovation was comparative. In fact, almost every exhibitor I spoke with commented upon the sheer volume of attendees this year. Both Amandine Roy of TXT Retail and Blake Simms of PTC confirmed the show was brimming; Kristen Salaun-Batby of Centric Software spoke to me on the rise of trade shows in general; Asaf Landau, MD at EFI Optitex, shared the insurmountable rise in traffic he had seen coming to their booth this year (stating 80% more leads by the second day this year than by the close of the entire show in 2015); and I had to fight my way in to see both Humans Solutions’ and Gerber Technology’s booths this year. For all attendees – whether exhibiting or looking to learn – being alert at a show like this is paramount. (Something not easy for exhibitors starting their day at 6am, finishing no earlier than 14 hours later, having taken a lunch break likely around 5pm.) With hangars lined with booths, lectures a plenty, panel discussions, special exhibitions and even catwalk shows, there’s always something to see, or something sadly to miss. The good news is that the conference spans four days; the bad news is that most visitors are unable to attend for the duration so, like me, have to make like a student the night before finals and cram. Attendees all have one thing in common: the collective understanding that textiles and their related technologies really matter – not just to the buyers and sellers in the room, but to the industry outside. So, what was the buzz this year? I could write for hours on what I encountered at the conference this year, but I’ll limit myself to some key areas. [I’ll only explore a small segment of what was on show in this report, but I strongly urge those who couldn’t attend to explore the website for a full list of exhibitors.] 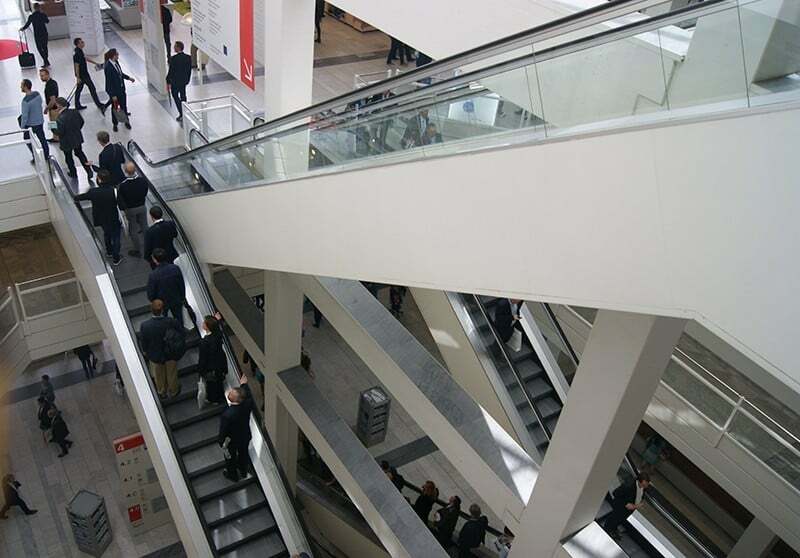 As far as I’m concerned, the compendium of booths, suits, demos, and experts in industry can be summarized into 4 key areas this year: Digitization (the ‘Internet of Things’ or ‘Industry 4.0’ depending on who you speak to), Innovative Technology, personalization / individualization / customization, and the steady rise of Digital Printing – not necessarily in that order. 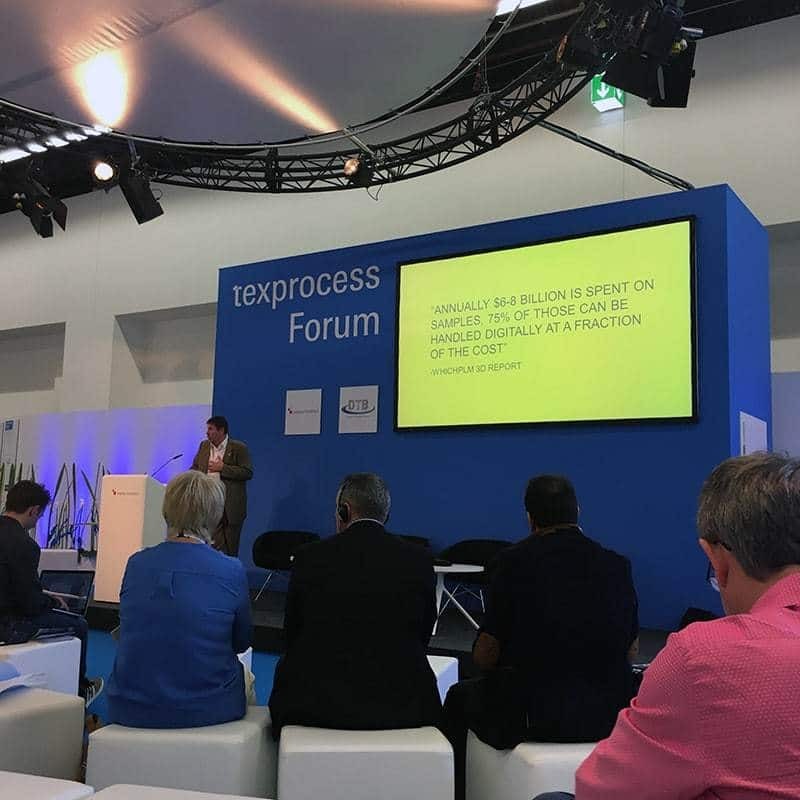 In particular for the Texprocess Forum this year (the event’s dedicated lecture arena) digitization and “industry 4.0” were big topics, as fielded by SPESA, Lectra, Human Solutions, Gerber Technology, and the Hohenstein Institute. Also at the Forum quality management was a hot topic for TÜV Süd, Takko Holding and Datacolor, with Bayern Innovativ speaking on sustainability – a topic that I view with great positivity, growing with each passing year. Speaking for finishing and functional technical textiles were Mimaki, Zimmer Maschinenbau, and Coldenhove; and for PLM was Centric Software and TXT Retail amongst others. Digitization could be seen and felt from wall to wall. Often viewed as one of the biggest challenges facing our industry, Texprocess instead showed the wealth of opportunities digitization brings about. A chance, rather than a challenge. Digitization was prevalent through the selection of different technologies on show: 2D, 3D, CAD, CAM, ERP, PLM, cutting, spreading, plotting, printing, stitching, pressing, finishing and more. Whether you use one of the commonplace umbrella terms, like Industry 4.0 or the Internet of Things, this digital buzz reinforces the position the industry is coming to – one of product (be it apparel, footwear, accessories or home textiles) requiring modern, fully-integrated processes and technologies to keep up with today’s consumer. 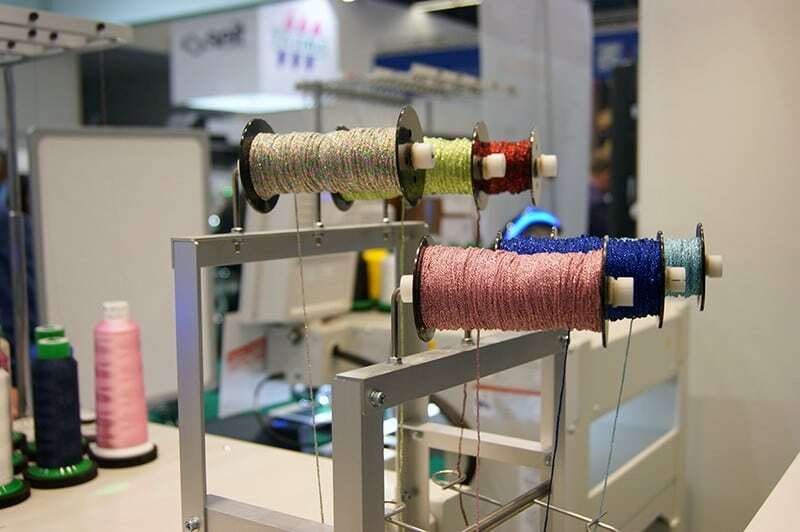 Judging from the sheer volume and complexity of technology to be seen on the show floor this year, it’s become apparent that technology today is as vital a component of the textile and apparel supply chain as fibres and threads. And the fibres and products themselves are advancing, with a wealth this year devoted to smart textiles. With new fibres being created all the time, adaptation of production technologies is necessary. 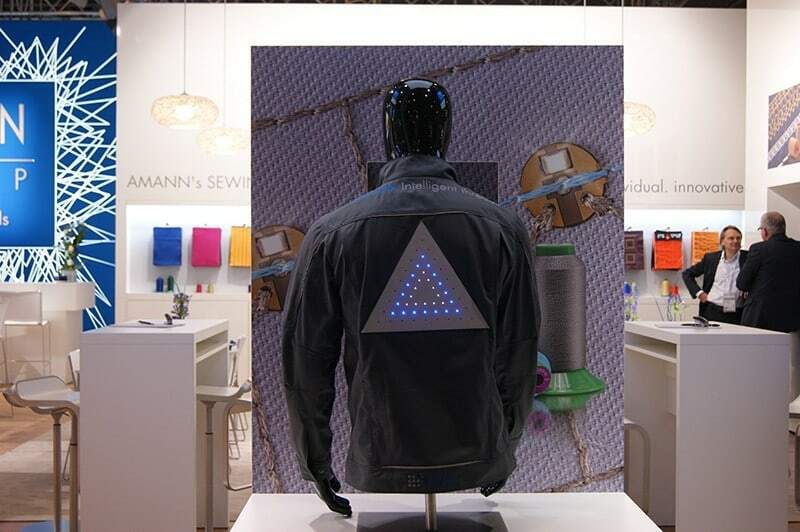 More and more electronic and sensory functions are being added to textiles – whether it be clothing, technical, home or medical textiles – and, as made clear by what was on show this year, textiles of the future will be able to heat, protect, light up, generate energy, and even communicate with or identify their wearer. From Forster Rohner I encountered e-broidery ELEMENTS – a new dimension in decorative lighting, creating the world’s first fabrics with integrated lighting. 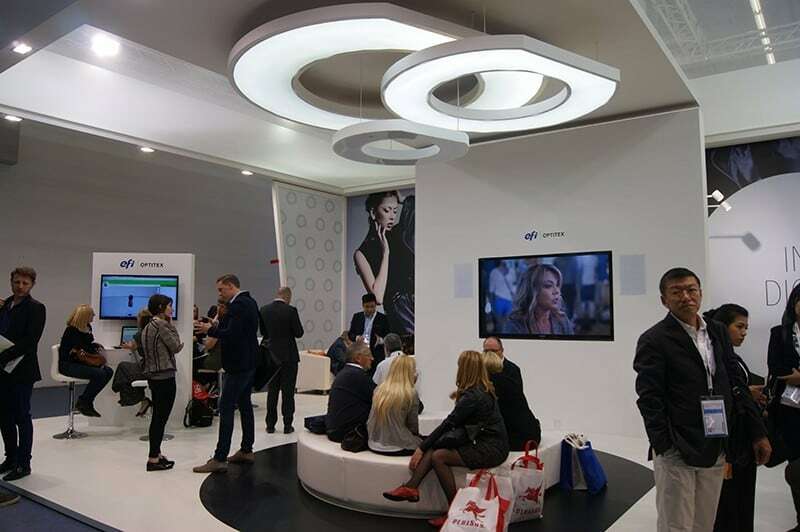 Although the technology is designed primarily for interior design, the company also works with apparel – something made evident by the outerwear on display at their booth. Forster Rohner develops and manufactures technical textiles based on embroidery techniques, from illuminated textiles (as discussed above) to textile conductors and sensors. Working in the same arena was the heating technology offered by Interactive Wear AG. 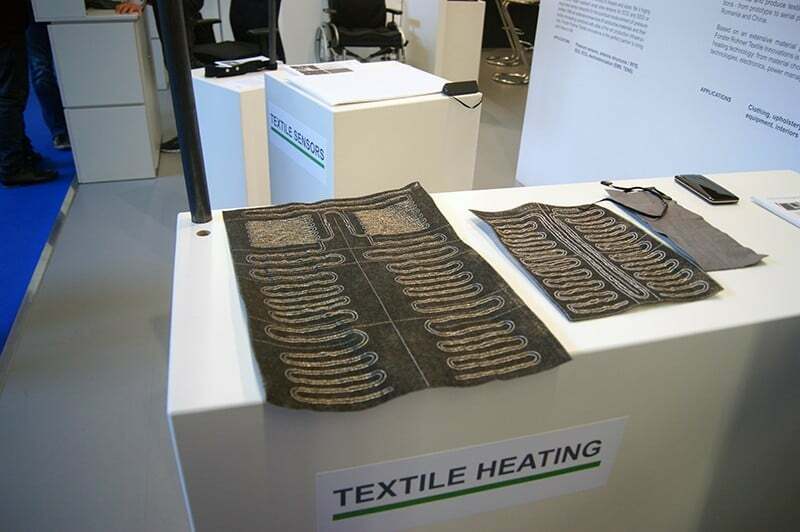 The company offers various technologies for embedding in clothing, with iTherm on display at the show – a platform designed to realise lightweight, flexible, breathable and safe heating applications. Besides fashion apparel, Interactive Wear targets sportswear, health wear, safety and protective workwear. physiosense GmbH was another company showcasing smart textiles, pattern detection and flexible data interfaces. Their sensors have been designed specifically for applications involving the human body, and in particular the comfort of that body. physiosense’s area of expertise is office chairs as opposed to apparel. The Amann Group, known for sewing and embroidery threads, were showcasing their Techtex (technical textiles) application. 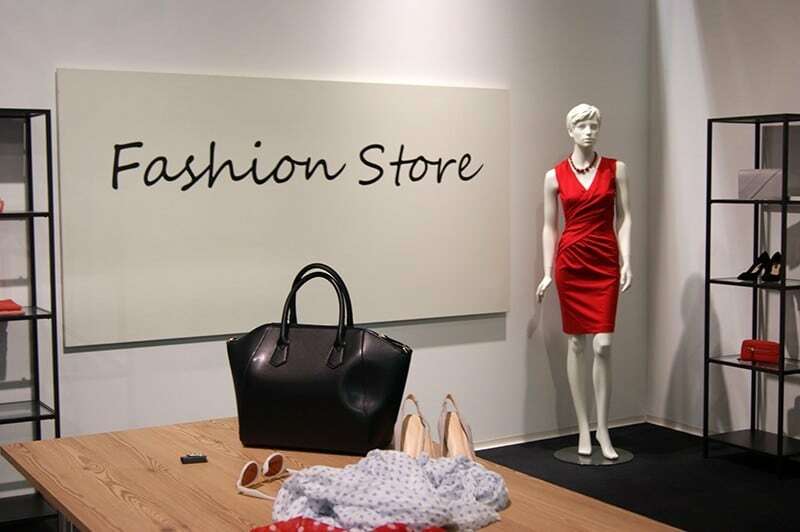 This application serves a multitude of industries and areas, including Fashion. 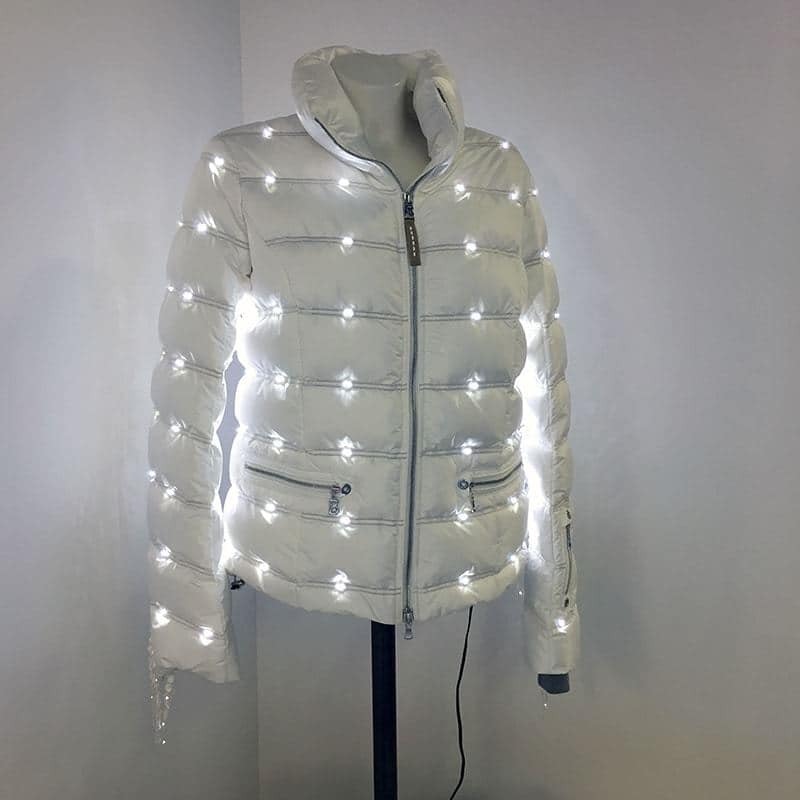 On show was a light-up jacket, utilising smart textiles from Techtex. The functionality of the jacket is ensured as far as the seams are concerned by utilising what the company is known for: their high performance threads. Speaking on digitization at the Forum was Georg Jürgens of Setlog GmbH. Presenting ‘Collaboration is the Key – Digitzation of Global Supply Chains’, Georg advocated for open sourcing (which he described as a focus on value), a shared economy (which he described as a focus on quality), and collaboration. And Jonas Wand, CSO of FOURSOURCE, presented ‘Transparency in the apparel & textile industry through the lens of digitization’. Jonas explained how “the ‘good old’ Fashion cycle is under pressure, and the digital transformation has just begun.” He explained how a change in the value chain, to speed up existing processes, is required – by finding well matched business partners, and being near to them. Jonas shared how we are facing a global sourcing market with more than “100,000 suppliers, 350,000 producers, 5,000 agencies, 60,000 brands and 200,000 sourcing companies” and how to find the right business partners in today’s market. Reid Swanson, Sales Director for Germany and Central Europe at Centric Software presented ‘Building the Case for PLM.’ “The fulcrum upon which any business case should be based is ROI. 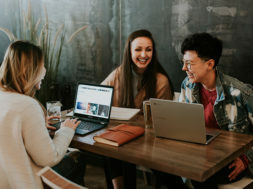 Convincing executive management to make a change is much easier when they know exactly what they can expect in return.” He went on to vouch for both the hard and soft benefits of PLM to be presented to stakeholders, “hard benefits include increased productivity from better managing gross margins. Soft benefits include increased productivity and efficiency.” I was later told, when visiting their booth, that Centric will be announcing a new launch later this week. It was actually during Reid’s presentation that I became aware of just how excellent the Forum translator was. The majority of sessions were held in German, with attendees able to borrow headsets to translate to my native English; translation occurred in real-time, with minimal to no errors. Representing PLM in Hall 4.0 were core vendors like TXT Retail, Centric Software, Koppermann GmbH, PTC, Simparel and CGS as well as those also covering ERP, CAD and other areas, like Gerber Technology, Human Solutions, Intex, Polytropon, W+P Solutions, and Insys. Centric Software, PTC, and TXT each had a larger presence than in 2015 (both in terms of space and representatives); Koppermann and Intex’s booths were larger still; but extensively represented again this year was the booth from Gerber Technology (front and centre) and the booth from Human Solutions (which was the largest on show). Both of these vendors had multiple technologies on show. 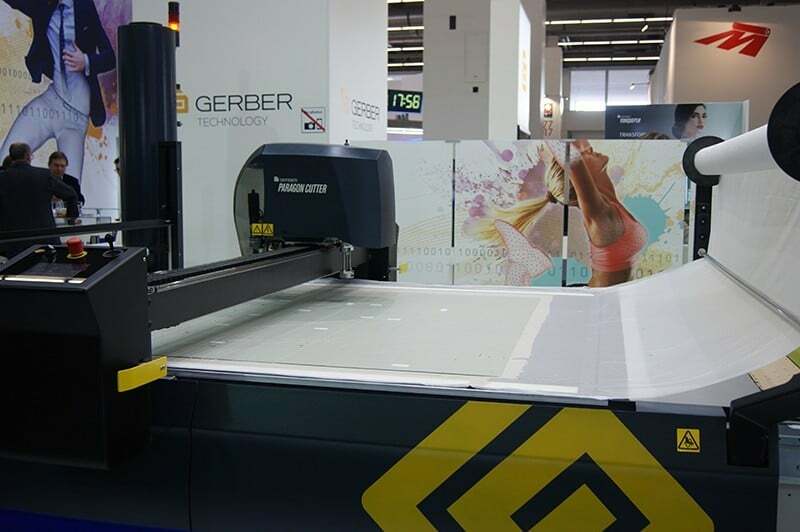 Gerber’s booth was split into two sections: the left-hand side showcased their larger technology (GERBERplotter, Paragon Cutter) whilst the right made way for groups of visitors to sit and explore their other technology (AccuMark 3D, YuniquePLM). Similarly, Human Solutions’ presence was split into various sections, each utilizing different technologies. There were perhaps 8 different sections and technologies on show (possibly more), and upon touring the space with Human Solutions’ Eva Fröhlich I noticed just how many partner applications were on show. This concept of technology partnerships and of open platforms crept up numerous times during Texprocess, in conversations I had with many vendors – of PLM, CAD, and 3D – and I think Asaf Landau, MD of EFI Optitex, explained it best, put simply, “with the right integration, one plus one equals three”. He shared how open Optitex have always been to innovation, and his sheer luck that the General Manager preceding him had aligned views when it comes to openness. This attitude is something Eva Fröhlich, and more broadly the Human Solutions Group, shares; they are proud of their collaborations, which they believe create a better market for everyone. Their Digital Fashionboard (which is, in a very simple definition, like an electronic whiteboard full of data) had made advancements since 2015 – now fully connected to PLM, to mobile, to digital QR-type cards, and to other systems within their technology umbrella. 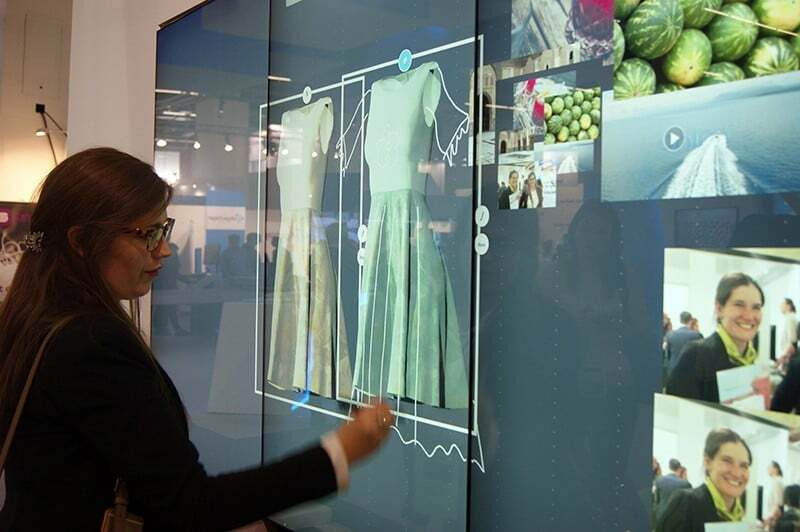 Another area at the booth showed avatars created by Virtual scanners; another showed the ‘Future of Fashion’ stores, which the company believes will hold just single items with QR codes for purchasing in the relevant size, colour, and style. This is a future view that is shared by many key players in our industry. Whilst at the Human Solutions booth I caught up with Renate Eder, Director of Business Development & Fashions at Vizoo3D. Renate is ex-Senior Manager of Creation Technologies for the adidas Group. Vizoo3D’s technology (the xTex scanner) was one of many on show at the booth, and Renate, although a visitor rather than an exhibitor, was kind enough to give me a demo first-hand. The xTex scanner scans objects, textiles or components perfectly; once scanned into the system the user is able to adjust parameters to create algorithms. The xTex is connected to Photoshop, and captures material samples with real accuracy and speed (the scan was over in less than 30 seconds), and the scan creates textures from the data for texture processing. These textures are universal and suitable for practically any 3D software. Renate expressed how lucky they have been to partner with 3D vendors like Human Solutions. Personalisation, individualization, customization – whichever label you choose – is something we’ve been exploring a great deal at WhichPLM in recent times. Earlier this year, several of our expert contributors (including myself) wrote on the subject, the challenges it brings and the changing role of the ‘personalised’ and connected consumer, and many of our interviewees so far this year have shared their thoughts on the matter. In short, the demand for the individual ‘touch’ is huge; no longer are consumers happy with mass produced items (or so they believe). In order to fulfill this demand, clothing production is changing, to become much more flexible. Exploring personalization at Texprocess was an event first: the Micro Factory. In co-operation with the German Institutes of Textile and Fibre Research Denkendorf (DITF) and renowned textile companies, Texprocess presented a complete, interlinked textile production chain. This Digital Textile Micro Factory was live for visitors like me to walk through, either alone or as part of a tour, from start to finish, learning from various experts on the way. The Micro Factory was split into 6 areas, beginning with design. 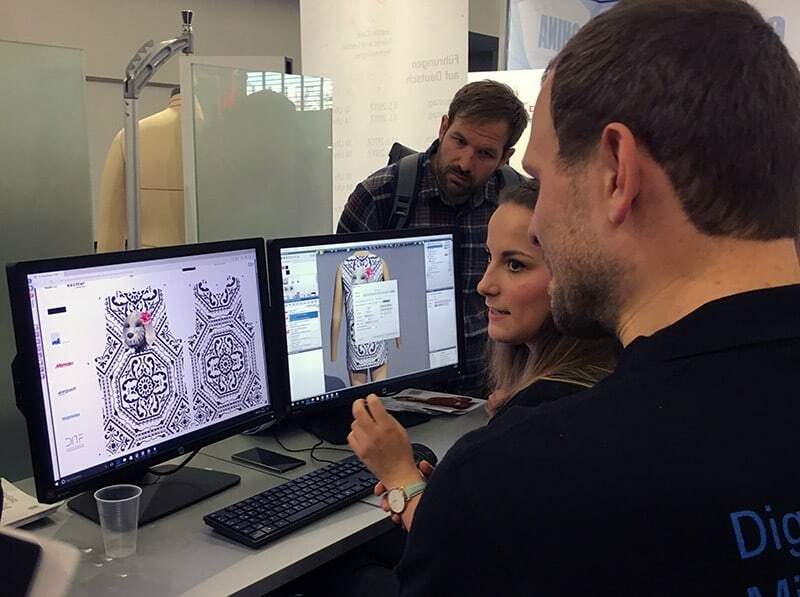 Here, Sarah Kienzler of Assyst GmbH (part of the Human Solutions Group) was developing designs (with the help of visitors) simulated in 3D, to create orders for cutting and sewing. Within this design could be the addition of a QR code. These very designs were automatically transferred to the next stage – printing – where the design colour data was processed for printing, courtesy of ErgoSoft RIP software. From here, the digital printing station showed large-scale inkjet printing in the form of sublimation printing on polyester and pigment printing on cotton and blended fabrics. Production orders could be combined flexibly and print colour consistently with a variety of printing parameters. Ensuring optimum printing results at this station were hardware and software partners, Mimaki, caddon and Monti Antonio. 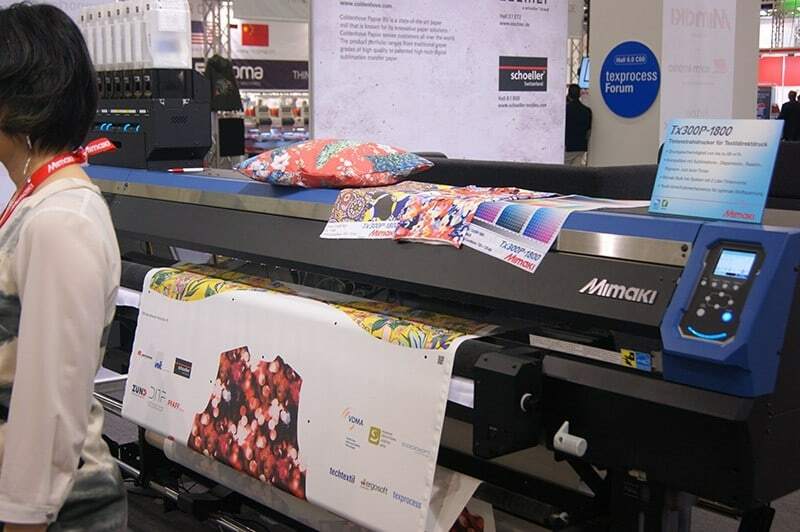 [In addition to the Micro Factory partners, other printing companies, like Brother and Epson, were showing state-of-the-art printing processes for Textiles and Apparel at the show.] 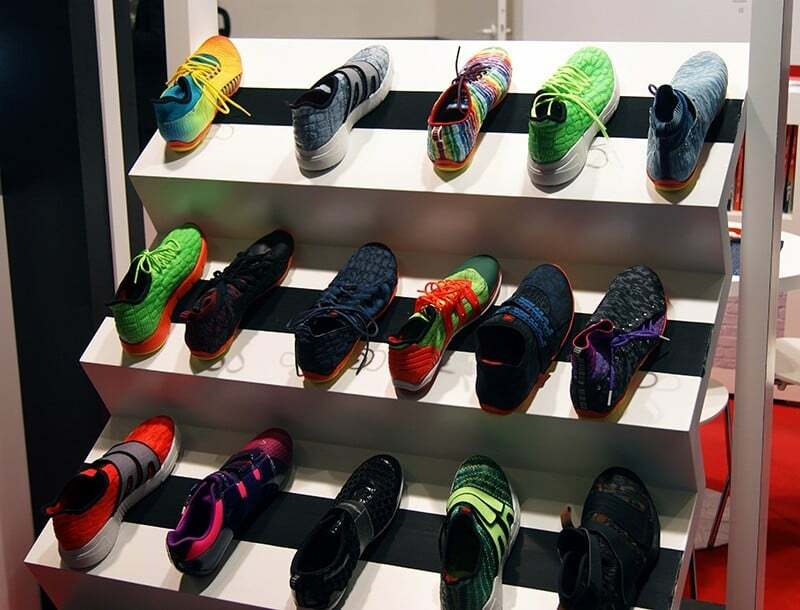 caddon, it was explained, is used by the adidas Group to reduce their communication efforts by a whopping 90%. ErgoSoft RIP not only delivered the printing data for this second stage, but also the cutting data for the third. This cutting data was passed onto the Zünd Cutsystem, which identified the job, adjusted the machine for the correct parameters and proceeded to cut the material to size in a matter of seconds. From here, the material was passed to stage four – assembly – where sewing and welding machines from Dürkopp Adler (who also had an immense booth at the show) and PFAFF assembled the finished product. Seripress then made additional customisation through labelling, with the final touches (in the form of steam and manual ironing) from Veit. Veit also held a prominent space at the show, with ‘Industry 4.0’ and ‘Pressing for Excellence’ plastered across their booth, and on the bags I saw a wealth of visitors carrying. This concept of a Micro Factory within a trade show is not unique to Texprocess – in fact, our own CEO has participated in the same previously, and Optitex and Reggiani performed in one at the MAGIC show just last year – but, it was a first for the show this year, and a first for me. Although the technologies are of course complex, the actual concept of an end-to-end demo during a trade show is really rather simple and, I hope, something that will be continued at Texprocess in the future. It really cements the need for solutions to work together (something that has sadly been atypical of our industry in the past), and highlights the importance of getting these processes correct and in place before any design work commences. 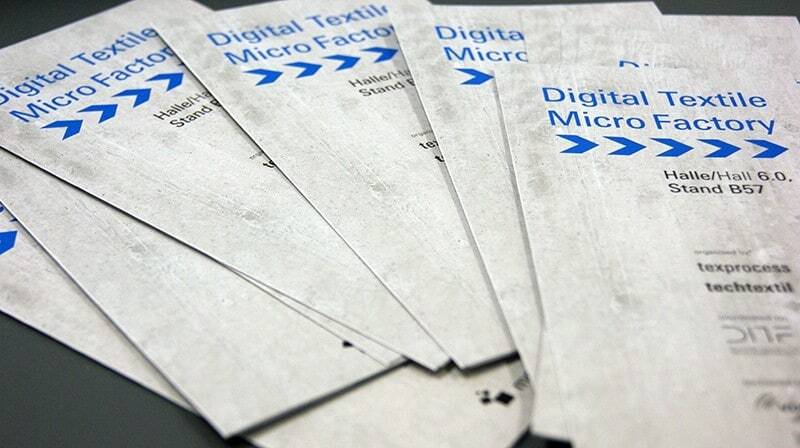 For me, the Digital Textile Micro Factory was a highlight of this year’s show – one highlight of many. 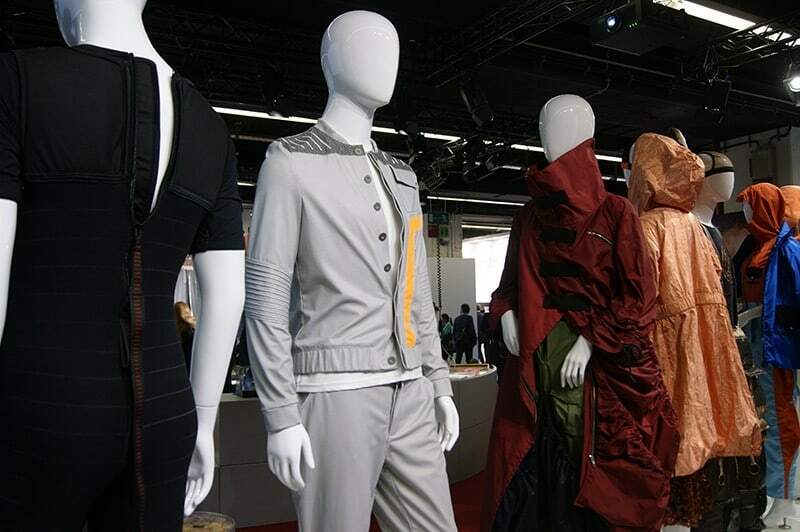 Considered another highlight this year was the Innovative Apparel Show – a staple of Texprocess and Techtextil. This year organisers had vowed for the Apparel Show to become more internationally oriented. To this end, four international colleges for fashion and design presented their work. Showcasing from Berlin was ESMOD; from Portugal the ESAD College of Art and Design; The Academia Italiana out of Florence; and from native soil, Hochschule Trier. From the conference runway all four establishments displayed fashionable yet functional textiles, and the processing stages that went into making them. These visionary outfits were all made from technical or functional textiles, using modern processing technologies. 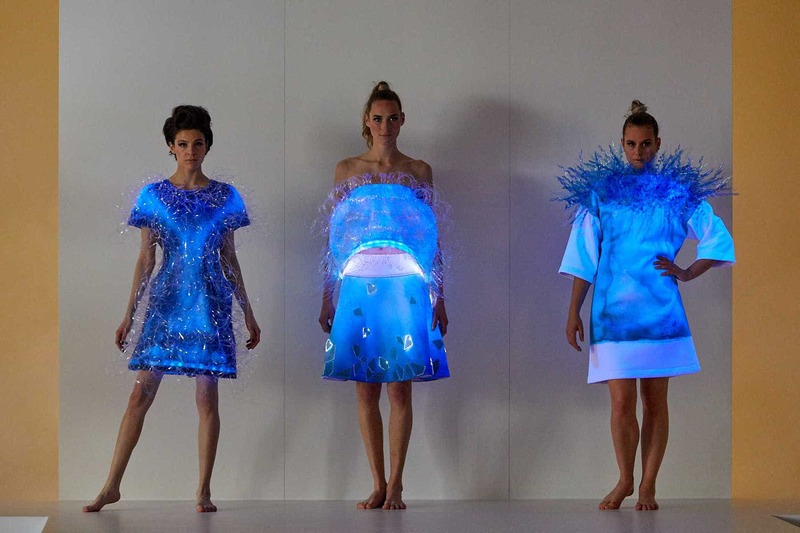 Each college had been given themes of ‘Textile Effects’, ‘Creative Engineering’, and ‘Smart Fashion’ to work with. 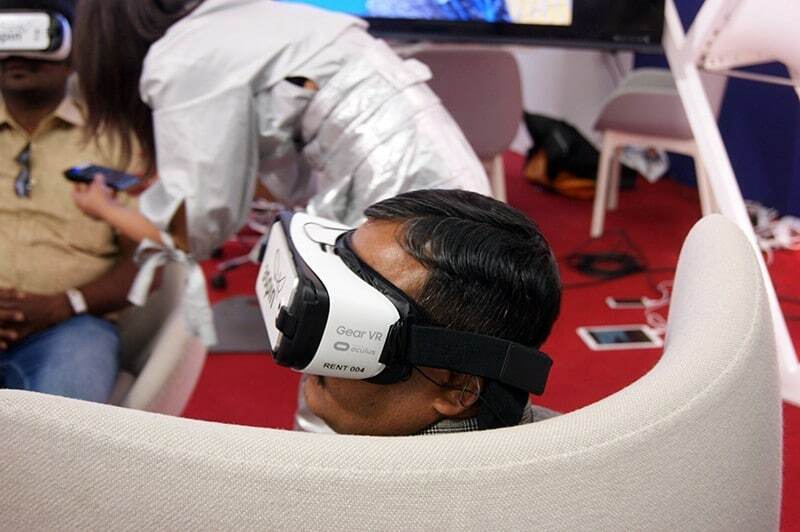 Visitors could walk a dedicated, interactive area displaying the high-tech textiles and textile processing technologies that have emerged from and for space travel – including a virtual reality experience. VR has become almost synonymous with the Internet of Things (or Industry 4.0) in recent times, and we’re seeing more and more applications developed, and existing ones tweaked, to address the rise in VR and AR experiences. Like countless others, I was able to go on a virtual journey through the universe at the show, learning about the application of technical textiles in space travel. “It will take several years before we can hold fairs on Mars. Until then, we can show at Techtextil and Texprocess products and processes covering almost all aspects of human life, from clothing, via building and mobility, to safety, medicine and agricultural technology – in other words, all those fields that are necessary for travel and survival in space,” said Olaf Schmidt, VP Textiles and Textile Technologies for Messe Frankfurt. Aside from the fact that VR and nausea have a tendency to go hand in hand for me, the VR experience was a great touch. The 4 main topics the shows wanted to explore via this Living in Space experience were architecture, civilization, clothing, and mobility. Architecture was represented via applications for dwellings and infrastructure, and mobility via applications relating to locomotion in space – lightweight structures for parachute fabrics for example. Civilization related to fabrics for survival, such as geotextiles for growing foodstuffs, medical applications, energy production and filtration. And Clothing was of course presented via functional, space-inspired, hi-tech garments. The space-wear on show could protect the wearer from extreme temperatures but also regulate their body temperature, drain off moisture and be durable. 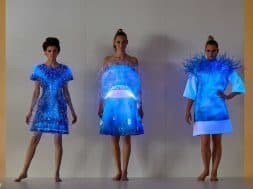 These spectacular and highly fashionable outfits were designed and created by students from establishments including ESMOD Fashion School in Berlin, Politecnico di Milano, The Hohenstein Textile Institute, Pforzheim University, and AMD Düsseldorf. One creation, from Leyla Yalcin and Sena Isikal (of AMD Düsseldorf), included a sleeping bag for astronauts made from silver-coated textiles, which could also be used as an overall, protecting the wearer from electro-magnetic radiation. These threads were provided by Bremen-based silver yarn manufacturer, Statex. 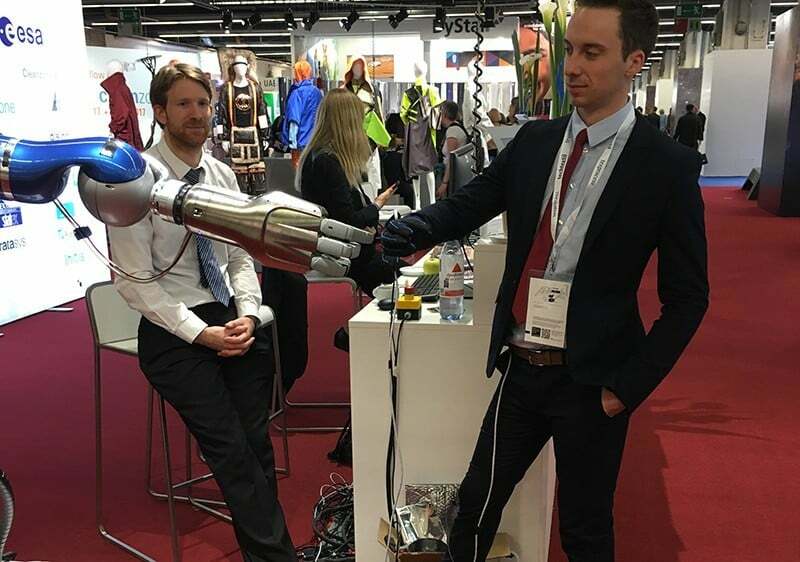 The European Space Agency (ESA) was displaying a robotic arm, which was linked to the wearer of a glove and mimicked hand movements exactly. The display was like something straight out of the Marvel universe. 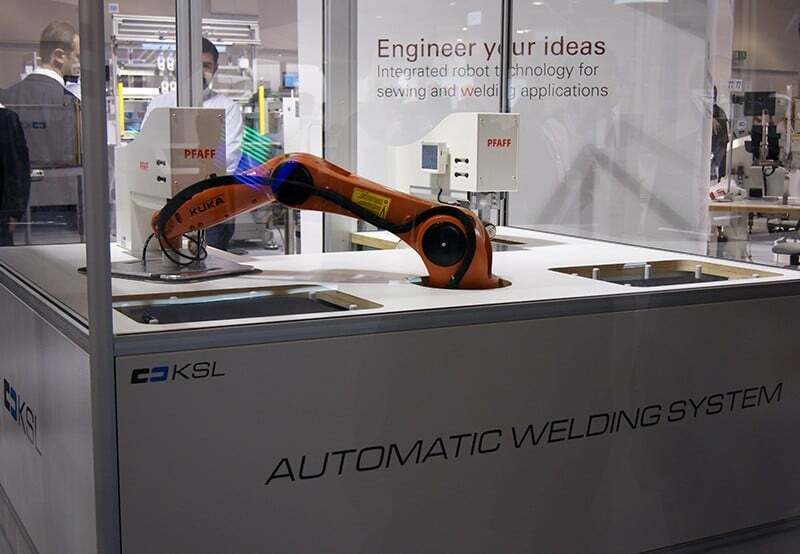 Other feats of robotics could be found at the show: KSL were displaying both a Robotic Bobbin Changer and an Automatic Welding System; and SoftWear Automation Inc. talked around robotic sewing solutions. Unfortunately, these Sewbots™ weren’t actually present at their booth, but SoftWear Automation did explain how these Sewbots™ allow brands and manufacturers to ‘SEWLOCAL’. The Atlanta-based machine vision and robotics startup spun out of Georgia Tech after 7 years’ research and development working on products like DARPA and the WALMART Foundation. They allow manufacturers to produce everything (from towels and mats to footwear and t-shirts) in high-labor markets at the same cost as producing in low-labor ones. This allows for a shorter, more sustainable supply chain that is highly responsive and easily adapted to meet changes in customer demand. I attended a keynote in the Living in Space area delivered by Paul Poelmans, Senior Advisor of Innovation and Tranformation for Verhaert (facilitated by the ESA). He described the Belgian company as a “broker for ESA in space” and shared how important 3D printing and additive manufacturing have become for space, as they cut down the items / materials for transportation. Poelmans made one statement that really stuck with me, “innovation never happens at the core; it happens in orbit”. Whilst I initially smiled at the space pun, my smile widened as I thought further about the phrase. This idea that innovation is happening at the outer edges, often by the underdogs, and is in a constant state of flux, is perfect in describing industry, business, and even life. Seeing the challenges that technologies in our industry have the potential to overcome in space really puts into perspective those challenges we face on this planet. If we’re somehow capable of developing textiles for growing food on Mars, we must be capable of things like customer retention, true supply-chain visibility, and sustainable manufacturing here on Earth. And I do believe that everything I saw during my time in Frankfurt is contributing to this vision. 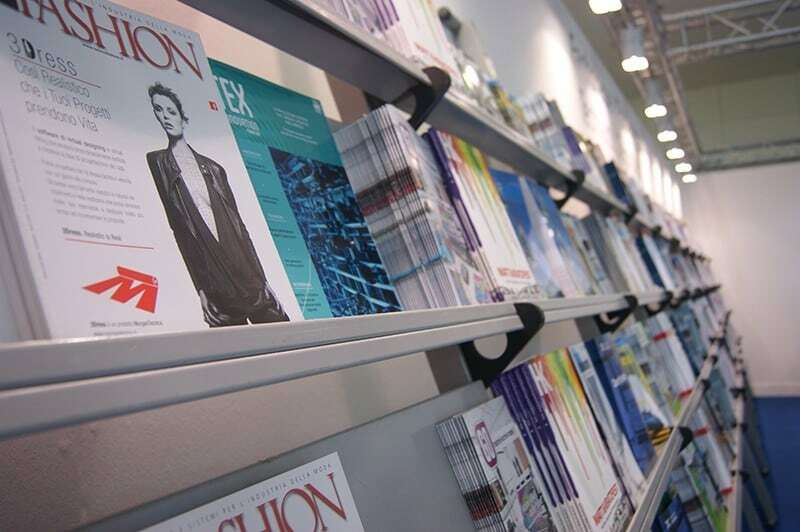 Vendors of fashion technology – whether they are presenting behind-the-scenes enterprise-wide solutions like PLM or ERP, or showcasing something ‘glossier’ like a 3D scanner, or an interactive wall – are all whole-heartedly committed to the future of our industry. After all, Fashion is everywhere, from the decision to put on a certain shirt in the morning, to matching your shoes to your outfit, or eyeing up the smart watch on that man’s wrist. Hell, even the in-flight magazine on my outbound flight was on Fashion – Lufthansa’s “catwalk in the sky”. And as I walked away from the event, sewing machines and chatter still ringing in my ears, I felt another smile cross my lips. I’d spent the last two days inside the alchemy of Fashion.